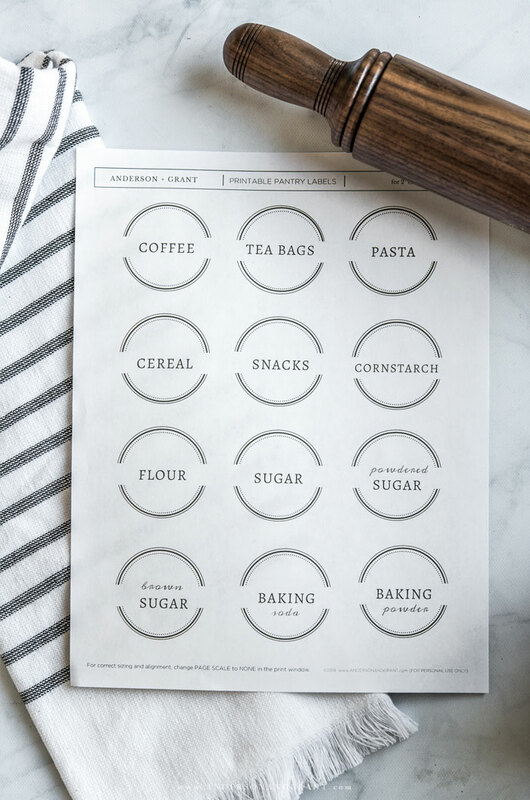 Free printable pantry labels to organize your kitchen cupboards and spices plus even more free printables to help you stay organized in the new year. Those that could care less about adding a descriptive label to anything and get along just fine without the guidance that a pretty label supplies. 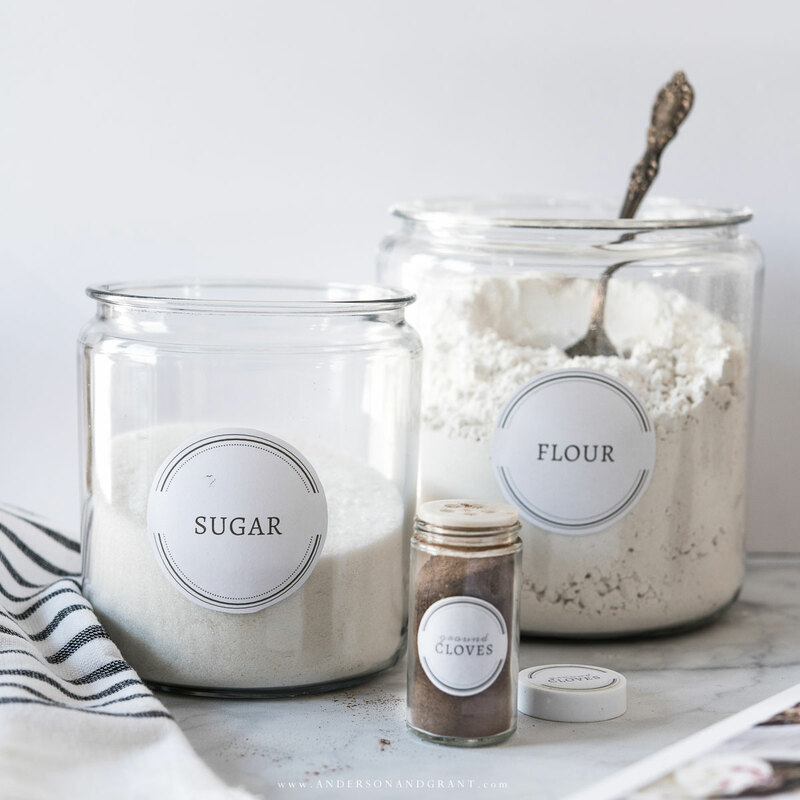 Then there are those that use some sort of label where necessary to make finding certain items easier.....and these labels vary from printables online, purchased in the store, or just a piece of masking tape with writing done in a Sharpie. And finally, there is a group who is willing to stick a beautifully created label on just about everything they own.....just because they can. I supposed you could say that I fall somewhere in between person 2 and 3. While I may not choose to label everything in life, I do love me something that has a pretty design and will look good on a storage container. And I appreciate being able to know what is inside of a box without opening it. Where would you say you are on the label spectrum? One of the places that I feel is most important to use labels to some degree in the kitchen. 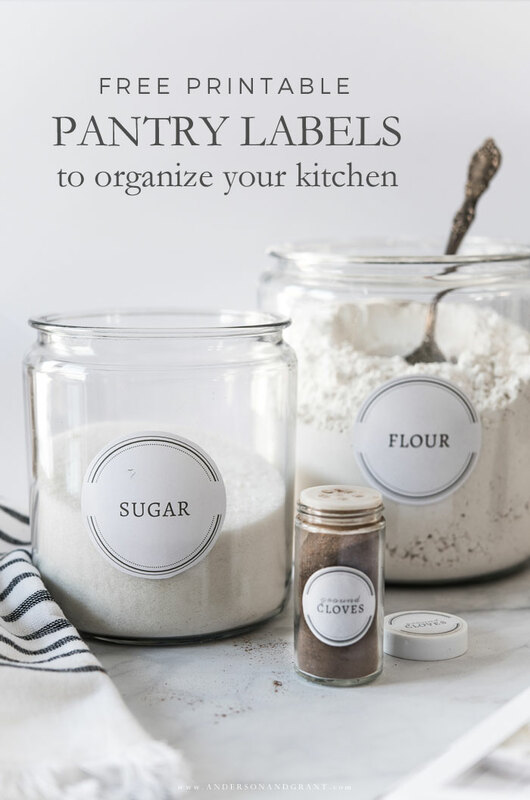 If you think about all the pantry items that there are to store and how many people are in and out of the drawers and cupboards looking for things and putting them away, then it is easy to see how beneficial it can be to embrace the help that a pretty sticker can provide. 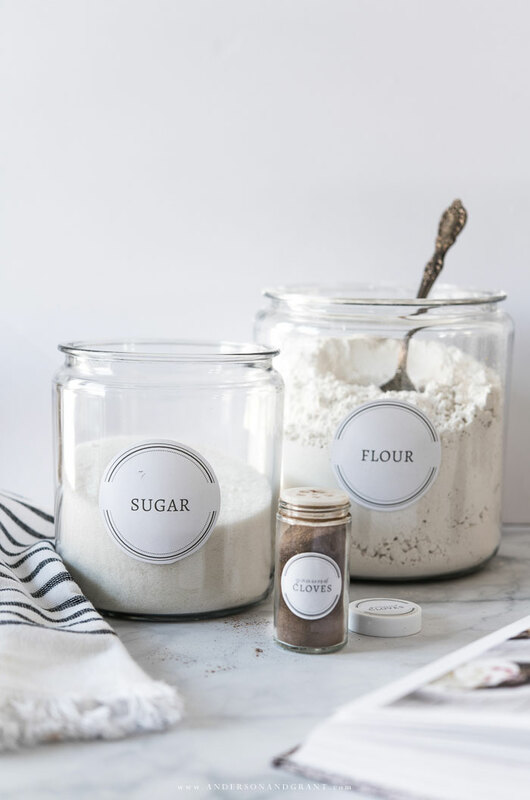 Labels are especially helpful when decanting products into individual containers like flour and sugar....once the packaging is gone you need to be able to know what it inside the container. They are also great for organizing group of products in a basket like snacks or boxes of pasta. And if you do your own canning and preserving, labels are a must for knowing what you've stored in each jar and when. Years ago, I created spice labels to help my mom organize her jars....and then a couple years later, I shared a different version I used for my own spices. In addition to the free printable, I have been creating custom versions with whatever spices you need through my online shop. 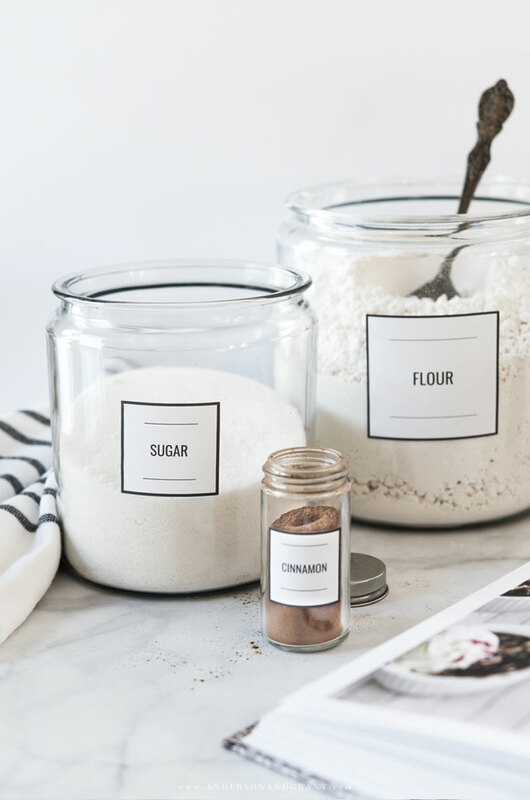 And year after year, I've told myself that I need to create some pantry labels to go along with these spice jar labels, because don't we all want things to match in the kitchen? I've even had the labels made for about six months, but have never shared them. and then my friend Chloe from Boxwood Avenue emailed me to say she was putting an organizing printables tour together for.....the 15th. I guess that was my little to push to make sure that these labels finally made their way into your hands! Links to the helpful printables that everyone else is sharing appear later in this post. So, I've created a free printable version of some basic pantry labels in two different sizes to accompany both types of spice jar labels that I've made in the past. 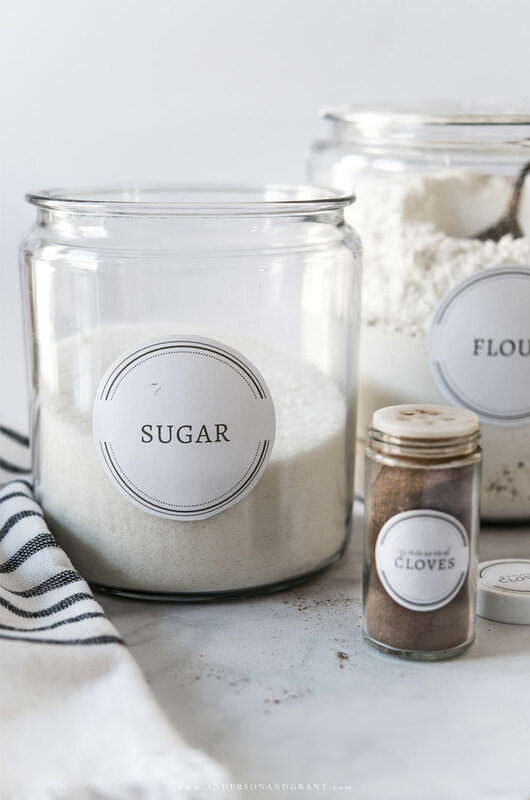 If you've already been using them for your spices, you can just add matching labels to your pantry items. I'm also linking to the spice labels in case you need the whole set. They can all be printed on Avery Full Sheet Label Paper and then cut out with scissors or a hole punch depending on the size. 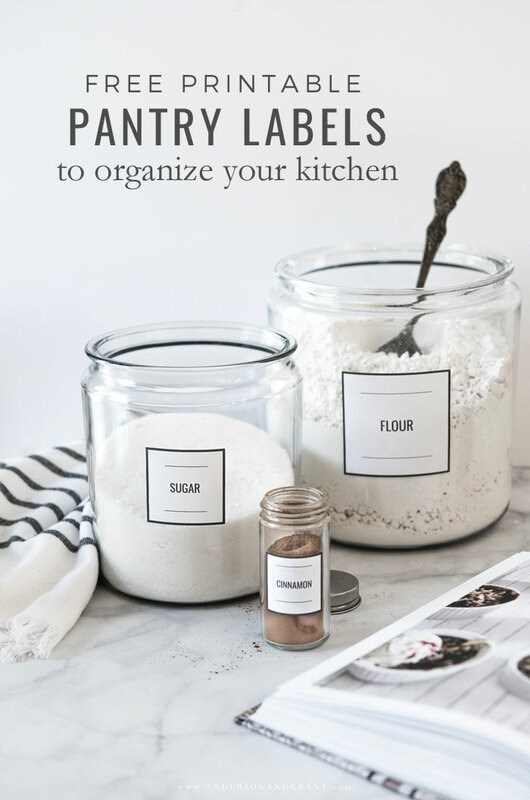 And if you are one of those people who love a specific label for everything or you would like to use these labels to organize something other than kitchen supplies, you can purchase custom labels with exactly what you need from my (newly re-designed) online shop. Be sure to visit some of my friend's post linked below for even more help in staying organized this year!